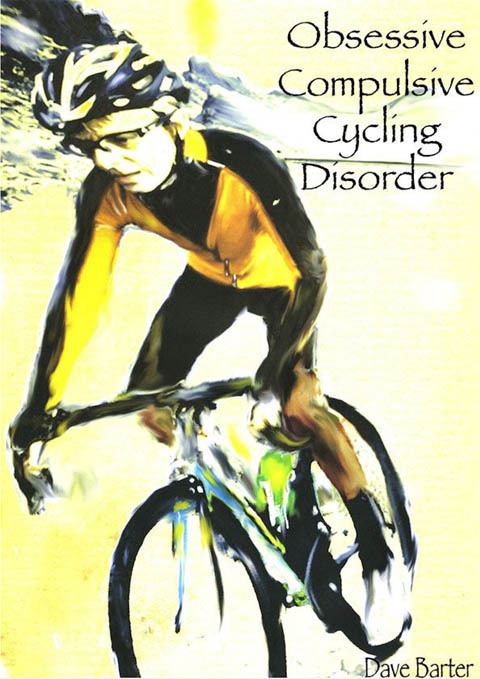 Obsessive Compulsive Cycling Disorder is an anthology of thirty articles written by an amateur cyclist over a period of ten years. The collection exhibits the madness that engulfs those who descend into cycling obsession, celebrating the average cyclist living in a world defined by the pros. The writings range from fanciful musings concerning the Tao of singlespeeding to lengthy descriptions of end-to-end rides in Britain and Ireland. Mountain biking, road cycling, classic alpine climbs and all sorts of other cycling events are chronicled along the way. Each is written in a lighthearted style designed to bring the reader into the author’s world which is often littered with incident and humour. Within the pages the reader will find a loose ticklist of events to ride, bikes to own and challenges to take on. Each described in the author’s own inimitable style. This latest version comes with added "much better proofreading than last published edition"
Dave Barter is a British cyclist. Excellent we’ve got that out of the way. A non-cycling author of a series of bicycle based reflections would have a hint of incongruity about it. He likes to think of himself as an all rounder having tried many two wheeled disciplines and fallen off most of them. In 2001 he chucked in his job and went cycling. In 2010 he did exactly the same thing again. In between times he’s written a few articles about cycling and a few of them have even made it into print. Dave was born in Ely Hospital in 1966 after his Dad raced floodwater to get his Mum to the ward before the river Ouse burst. This explains why he is always in a rush. Dave lives in deepest Wiltshire with his wife Helen and his children Jake and Holly. Wembley the cat used to reside within the family as well but sadly snuffed it a few years ago. Dave’s fiscal profession is Information Technology. He writes articles to fund bike parts and is currently attempting to finish a number of books. Once he has read them, he’ll turn his attention to his half completed writing projects. Like all good IT practitioners he rarely finishes anything. Obsessive Compulsive Cycling Disorder is the rare exception.